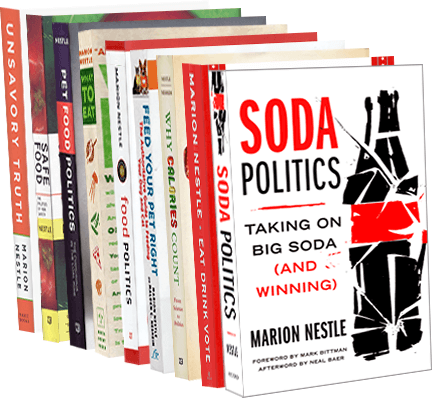 Food Politics by Marion Nestle » Brazil’s new dietary guidelines: food-based! Brazil’s new dietary guidelines: food-based! Brazil has issued new dietary guidelines open for public comment. For the Brazilian Dietary Guidelines document (in Portuguese), click here..
Brazilian health officials designed the guidelines to help protect against undernutrition, which is already declining sharply in Brazil, but also to prevent the health consequences of overweight and obesity, which are sharply increasing in that country. The guidelines are remarkable in that they are based on foods that Brazilians of all social classes eat every day, and consider the social, cultural, economic and environmental implications of food choices. Make foods and freshly prepared dishes and meals the basis of your diet. Be sure oils, fats, sugar and salt are used in moderation in culinary preparations. Limit the intake of ready-to-consume products and avoid those that are ultra-processed. Now if only our Dietary Guidelines Advisory Committee would take note and do the same? Would you like us to have sensible, unambiguous food-based guidelines like these? You can file comments on the 2015 Dietary Guidelines here. Thanks to Professor Carlos A. Monteiro of the Department of Nutrition, School of Public Health at the University of Sao Paulo for sending the guidelines and for their translation, and for his contribution to them.